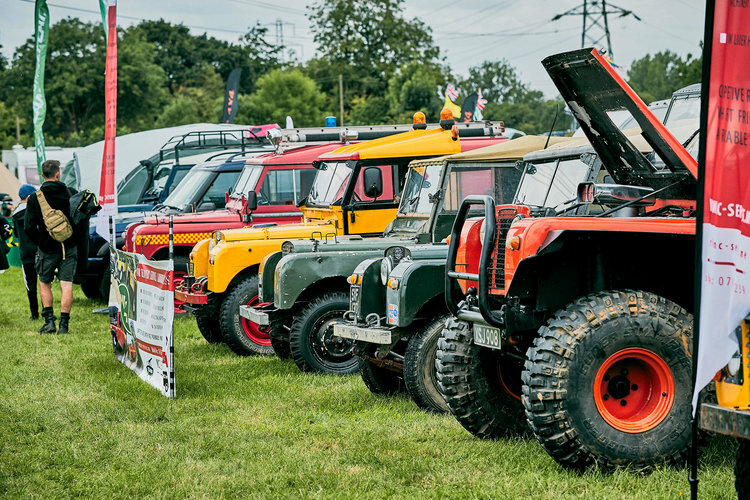 Land Rover Monthly magazine is partnering with the Billing Off Road Show in a bid to set a new world record for the Largest Parade of Land Rovers/Range Rovers at the annual show taking place from 30th June to 1st July 2018. Held by Germany, the current record of 632 was set on 30 May 2018 in Bad Kissingen but the organisers of the show, along with the LRM team, are out to bring it back to the UK. The attempt will take place on Saturday 30th June at 5pm with registration on site at 1pm. 2018 marks the 70th anniversary of the invention of the Land Rover, which was created in Britain in 1948 and launched at the Amsterdam Motor Show on the 30th April that year. This world record attempt is part of the Billing Off Road Show weekend where people from all around come to drive the Billing off-road tracks and legendary mud run. The rules for the world record attempt state that the vehicles taking part must never be more than two car lengths away from the car in front, that the parade exceeds two miles, that no driver takes a toilet break, and each vehicle must have a Land Rover badge to qualify.